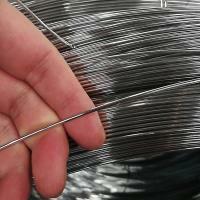 Cold galvanized wire, hot-dip galvanized wire, zinc-aluminum alloy wire. 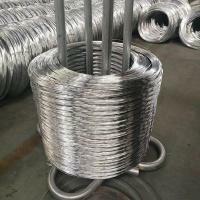 The materials for nails are stainless steel wire, zinc aluminum wire, and galvanized wire. 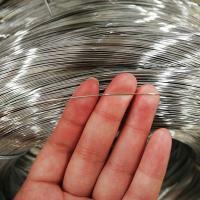 Among them, zinc aluminum wire and galvanized wire have the highest sales volume, and the cost of stainless steel wire is high. 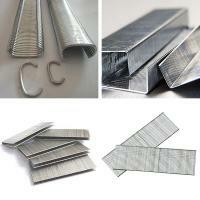 U-shaped nails, C-shaped nails, steam-discharge nails, M-shaped nails, turf nails, etc. The duration of the protective effect of the galvanized layer is greatly related to the thickness of the coating. Generally speaking, in the relatively dry main gas and indoor use, the thickness of the galvanized layer only needs 6-12 μm", and under the harsh environment, the thickness of the galvanized layer needs to be less than 20 μm", and cannot exceed 50 μm. 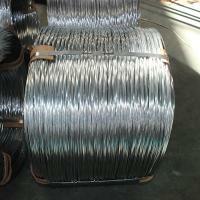 Therefore, the influence of the environment should be considered when selecting the thickness of the galvanized layer. After the galvanizing layer is passivated, a bright and beautiful color passivation film can be formed, which can significantly improve the protective performance. 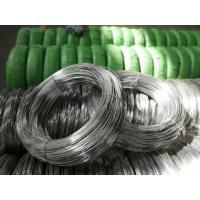 ShenZhou ShengSen Metal Products Co., Ltd. located in ShenZhou City of Hebei province, is a professional manufacturer factory of all kinds iron wire. More kinds, Full specifications. Application scope wide is the biggest advantage of our products. Products are mainly divided into three series: Building series, Home used series and Craft series. Our factory has advance machine equipment 70 sets, worker staff more than 160 peoples, test worker about 20 people. The daily of products output of 260 tons, annual sales of 82000 tons. 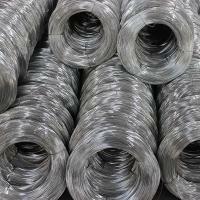 We have strong technical strength, scientific management and complete inspection means to guarantee iron wire products of high grade. 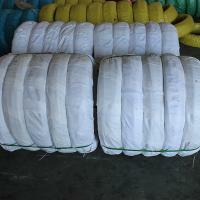 We will with the most preferential price, best quality in the face of the customer. And our products has been approved by ISO-9001. Our products sell well in Europe and the United States, Japan, the Middle East, Africa, South Korea, Australia and so on more than 40 countries and regions, also favored by foreign trust. Our company always insist on the quality strives for the survival, to the credibility of development the objective, wholeheartedly for the domestic and foreign customers, with quality products and first-class service. ShenZhou ShengSen Metal Products Co.,Ltd sincerely hopes to build up friendly trade relationship with all customers worldwide on the basis of frank and earnest cooperation, mutual benefit for a prosperous and sunny future.